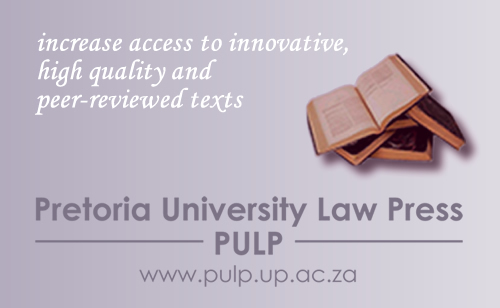 Established in 2005, the Pretoria University Law Press (PULP) was created to address the problem of the shortage of indigenous legal material in Africa, especially in the field of human rights. PULP is an independent, non-profit press based at the Faculty of Law in the Centre for Human Rights (CHR). PULP increases access to innovative, high quality and peer-reviewed texts with a focus on human rights and other aspects of public international law, especially in Africa. To date PULP has published more than 130 books. 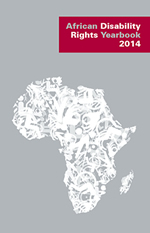 It also publishes six law journals – the African Human Rights Law Reports, Pretoria Student Law Review; Botswana Law Journal, the first open-access law journal of the Faculty of Law De Jure, the African Human Rights Law Journal and the African Disability Rights Yearbook – the last two are both open-access online journals. 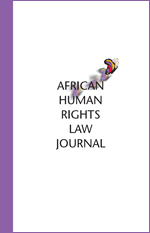 The African Human Rights Law Journal publishes peer-reviewed contributions dealing with human rights related topics of relevance to Africa, Africans and scholars of Africa. The Journal appears twice a year and is available both as online open access and in print. 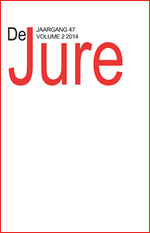 De Jure is a general law journal, accredited by the Department of Higher Education & Training. It publishes original research concerned with the development and dissemination of cutting-edge legal research, both national and international. The scope of the journal is wide and supports legal academics, practitioners and scholars. Academic books and publications have been published in multiple languages such as English, Afrikaans, Arabic, French, Swahili and Portuguese for international distribution, which answers the call from the Vice-Chancellor and Principal, Prof de la Rey to position the University as a leading research-intensive university. It is in light of this vision that PULP works tirelessly to assist UP alumni to publish scholarly texts and materials. All the material can be downloaded on Open Access via PULP’s website free of charge. PULP is a registered publisher with the Publishers Association of SA (PASA), the largest publishing industry body in South Africa, and all material goes through strict peer reviews to ensure accreditation and high quality output. The editorial board consists of Prof Charles Fombad, editorial manager and members Prof Frans Viljoen, Prof Christof Heyns, Mr Danie Brand, Mr Tshepo Madlingozi, Dr James Fowkes and Dr Michaela Hailbronner. Steering the day-to-day operations is Ms Lizette Hermann while web-based operations are managed by Ms Yolanda Booyzen the Communications and Marketing Manager of the Centre for Human Rights, the dispatch of books and the storerooms are managed by Mr Sydney Mdlhophe.